More great jazz just down the road! The Manchester Craftsmen's Guild, a not-for-profit organization with an outstanding, modestly-sized concert hall in Pittsburgh, continues to bring premier jazz performances to the area. The hall is located at 1815 Metropolitan St. in Pittsburgh. 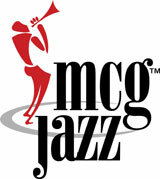 their website, www.mcgjazz.org is very current and reliable. Phone is 412/323-4000. Tickets for most shows are in the $50 range. 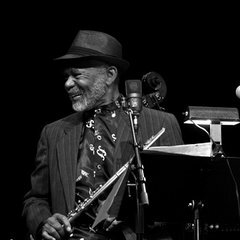 Pittsburgh Jazz Orchestra & Hubert Laws Sat., April 2 6:00 & 8:30 p.m. There are 23 albums in Mr. Laws' discography for such record companies as: Atlantic, CBS, CTI, including: "My Time Will Come," and "Storm Then The Calm" for the Music Masters record label. Received National Endowment Jazz Masters award 2011. If you aren’t already familiar with the eight artists who comprise the SFJAZZ Collective, you will be. As soloists, composers and bandleaders, they represent what’s happening now in jazz. More than master instrumentalists, each member is possessed of a totally individual creative voice, working collectively to express a unified musical identity. They also demonstrate that jazz has truly become an international language. Hailing from Puerto Rico, New York, Venezuela, Philadelphia, New Zealand, and Israel, the Collective's multi-cultural lineup mirrors the explosion of jazz talent around the globe. The SFJAZZ Collective is an all-star jazz ensemble comprising eight of the finest performer/composers at work in jazz today. Launched in 2004 by SFJAZZ, the Collective has quickly become one of the most exciting and acclaimed groups on the American and international jazz scenes. The award-winning all-star SFJAZZ Collective roster includes alto saxophonist Miguel Zenón, tenor saxophonist David Sánchez, vibraphonist Warren Wolf, trumpeter Sean Jones, trombonist Robin Eubanks, pianist Edward Simon, bassist Matt Penman and drummer Obed Calvaire.